Our second post in an occasional series on chicken. The entire description is mouthwatering. The price is $6.49. Where are we going? To FCS competition. If we look back at fried chicken sandwich (FCS) history, an Atlanta, Georgia suburb could be where we start. 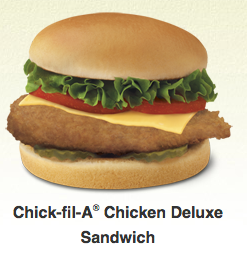 Claiming to have created the first FCS, Chick-fil-A, began in 1967. 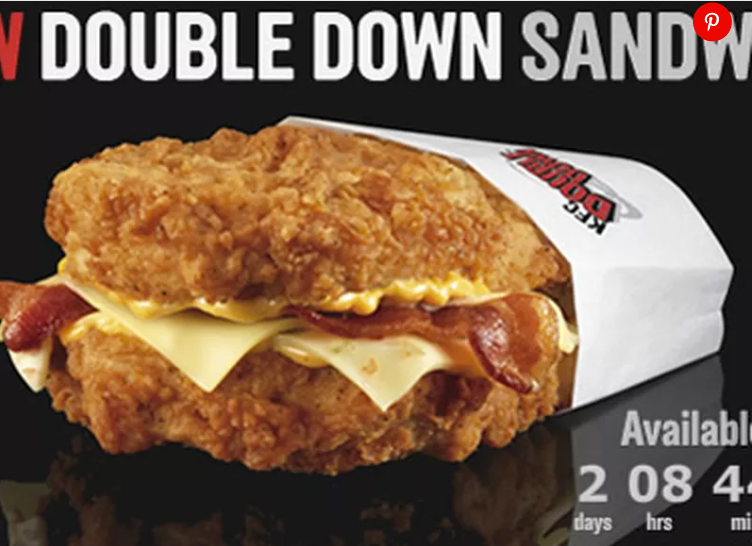 During 2010, KFC introduced its Double Down. Composed of two boneless fillets, two strips of bacon, two slices of monterey jack and pepperjack cheese and the Colonel’s Sauce (uggh!) it was call a monstrosity by eater.com. Moving up the food ladder from McChicken and the KFC Double Down, now we have what Shake Shack calls fine casual. David Chang (Momofuku) opened Fuku, the first of what he has said will be a fried chicken joint chain. Noted in an eater.com article, other establishments entering the high end of the FCS market include Philadelphia’s Federal Donuts, Charleston’s Hominy Grill, and Howlin’ Ray’s in LA. 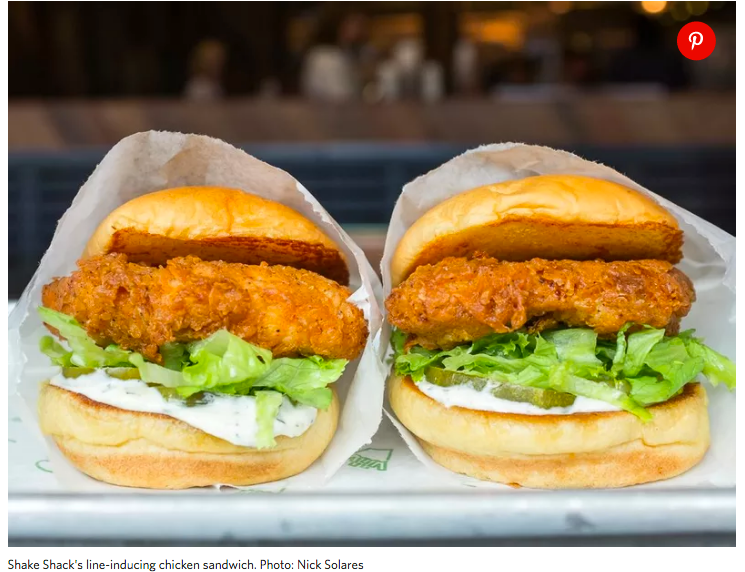 Like hamburgers, the market for fried chicken sandwiches has many of the characteristics of monopolistic competition. Because you just need a grill and a recipe, market entry is easy. But to be successful and have some price making power, you also require something unique—the monopolistic part. And that takes us back to the Shake Shack phenomenon. Along the following continuum, Shake Shack would be close to monopolistic competition. Then, further along near the oligopoly slot, are businesses with more pricing power like Apple and Kellogg’s. Sources and more: After listening to a gastropod discussion of fried chicken for an hour during one of my walks, I found that the upscale fried chicken sandwich market was described at bonappétit, at multiple eater.com, articles, and at time.com. And, if you want more on chicken, this Smithsonian article covers the history. Please note that several sentences in Our Bottom Line were included in a past econlife and this post was slightly edited after publication.